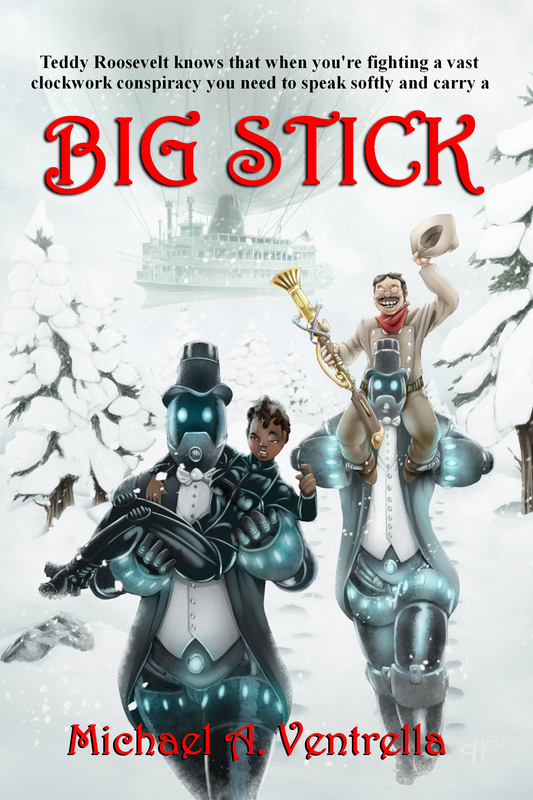 Lawrence Watt Evans grew up with parents who were science fiction readers, so he grew up reading the stuff, and decided at the age of seven or eight that he wanted to write it. 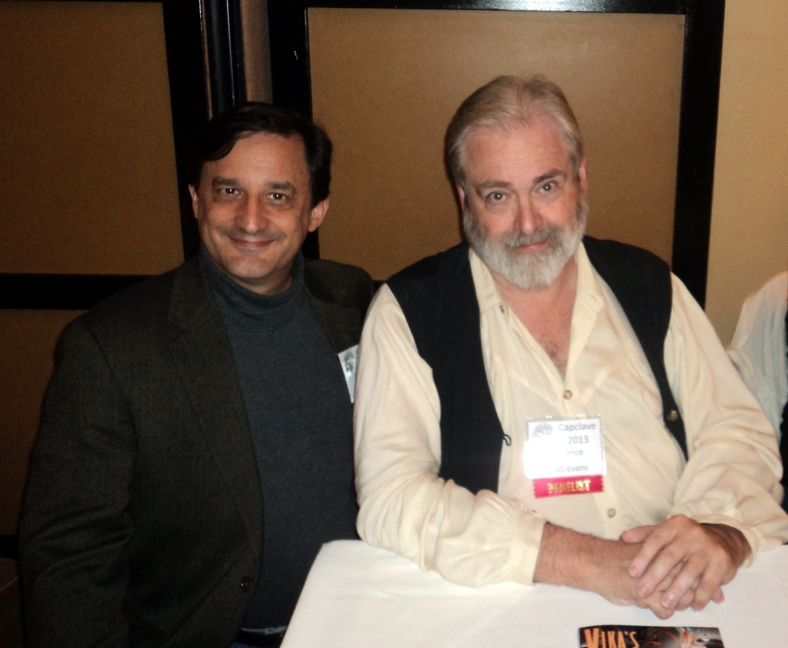 He has been a full-time writer for more than thirty years, producing more than forty novels, over one hundred short stories, over one hundred and fifty published articles, and a few comic books. 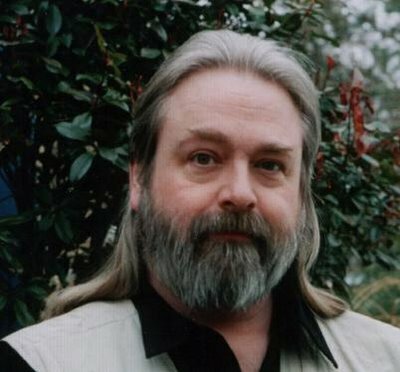 Most of his writing has been in the fields of science fiction, fantasy, and horror, and he has received a few awards, including the Hugo for best short story in 1988, for ”Why I Left Harry’s All-Night Hamburgers.” He served as president of the Horror Writers Association from 1994 to 1996. He lives in Maryland with his wife and the obligatory writers’ cat. MICHAEL A. VENTRELLA: Lawrence, thank you! Let’s start by letting us know what your latest work is that is available and what we can expect next. 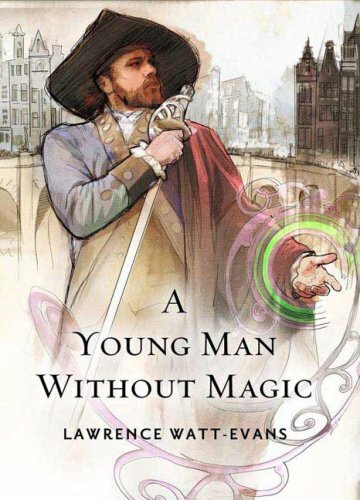 LAWRENCE WATT-EVANS: My latest novel is called A YOUNG MAN WITHOUT MAGIC; Tor released the hardcover in November of 2009. 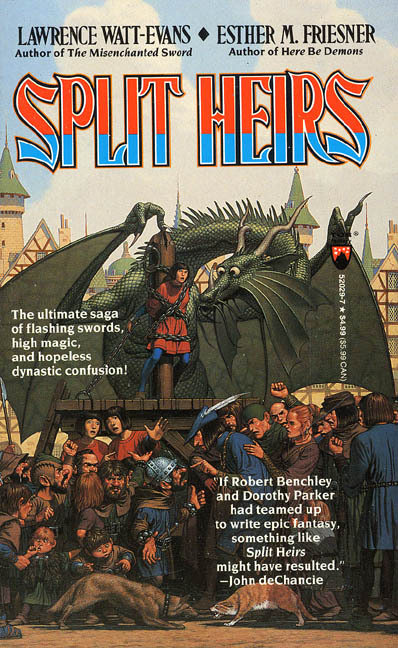 This is the first volume of a fantasy series called the Fall of the Sorcerers; the second volume, ABOVE HIS PROPER STATION, will be out in November 2010. Whether there will be more remains to be seen. If there’s sufficient interest from readers and publishers, this series could go a long time — I have about a dozen novels plotted. VENTRELLA: You try to break down traditional plot cliches in your stories. What are your plotline pet peeves? WATT-EVANS: My biggest is simply people doing things, or failing to do things, because it’s necessary to make the plot work, and not because that’s how real people would act. Plots that depend on people not telling each other important things when there’s no reason to keep them secret, for example. Real people generally like to talk, and keeping a secret is hard, so why do so many characters in books go to such lengths to not tell each other things? Why don’t characters in novels call the cops more often? Why don’t they tell their friends what they’re up to? VENTRELLA: I’ve commented on this blog before about how I dislike the typical fantasy hero who is a noble-born chosen one with special powers. Why do you think it’s important to avoid those kinds of characters? WATT-EVANS: I don’t think it’s important to avoid them; I just think they’ve been overdone, and I prefer to focus on more ordinary people. VENTRELLA: Do you ever worry about genre when your work crosses the line? Do your publishers and editors ever give you a hard time about it? WATT-EVANS: When I started out I never used to worry about genre. Back in the ’80s, I wrote whatever I wanted and let the publisher worry about labeling it. By the ’90s, that looked like a bad idea — my fantasy was much more successful than my science fiction or horror, so writing SF or horror was dragging down my sales and hurting my career. My agent eventually convinced me of that, and I mostly stopped writing SF and horror novels. (In short fiction, no one cared.) I’d intended to go on writing SF under a different name, but that never really worked out. By the turn of the century I was purely a fantasy writer. But the thing is, the market kept changing, and now readers and publishers want cross-genre stuff — pure traditional fantasy isn’t selling well anymore. Urban fantasy, crossing fantasy with hard-boiled detective stories — that’s selling. Paranormal romance is selling. Historical fantasy is selling. Since I write for a living, I can’t afford to ignore that, so I’m currently working on an urban fantasy novel called ONE-EYED JACK, and I’m looking at some other genre-bending possibilities. I’m perfectly happy working in various genres, but I do try to keep up with what publishers are buying. VENTRELLA: Are humorous stories easier or harder to write? For me, each story has its own natural tone, and that has nothing to do with the difficulty of writing it. Some funny stories are easy, some are hard; some serious stories are easy, some are hard. VENTRELLA: What difficulties and pitfalls face someone trying to write humor? WATT-EVANS: The tricky thing about writing humor is that senses of humor vary. What one person finds funny may leave another cold. When Esther Friesner and I were writing SPLIT HEIRS, while we were mostly in accord, I found out that Esther has a more vicious sense of humor than I do, but isn’t as fond of pratfalls — with one exception, any scene in the book where death or serious injury is played for laughs, Esther wrote it, while I think all the falls are mine. Knowing what readers will find funny — well, I’m not sure there’s anything that every reader will find funny. There are people out there who don’t find Terry Pratchett funny, which I find incomprehensible. So what you need to do is to incorporate a variety of humor. Don’t stick entirely to one thing — there’s no gag that won’t get old eventually. Maybe you think puns are the epitome of wit, but relying entirely on puns is going to leave most readers cold. SPLIT HEIRS had puns and pratfalls and pain, contrived explanations and elaborate absurdity, double entendres and drunk acts, so if a reader didn’t laugh at one bit, the next might get him. Overusing any one joke can kill it. Change it up. Also, don’t try too hard. Don’t overdo it. Humor has to have some grounding in reality in order to work. There’s a reason the classic comedy acts always included a straight man. Have some respect for your characters, no matter how absurd their situation may become. It’s much funnier when something ridiculous happens to an ordinary guy than when it happens to a capering buffoon. VENTRELLA: I know there isn’t a template that is used each time, but when creating a new world, what is your process? Do you first concentrate on the story and characters and then think about the politics and religion of the world? WATT-EVANS: Oh, it varies. A lot. I mean, a lot. Ethshar started out as a map I drew during a boring geometry class in ninth grade; the locations of Aldagmor and the three Ethshars were where the point of a compass had marked the paper when I used it as backing for an assignment. That was 1969. I added names and worked out some of the linguistics between then and 1972, and figured out some of how warlockry functioned, then put it aside until 1977, when I started designing the other kinds of magic. History and politics and religion came along between 1977 and 1983, but I didn’t have any stories to set there until about 1982. 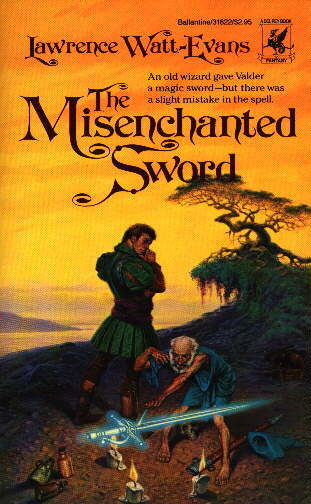 I started writing THE MISENCHANTED SWORD in December 1983. I’m still adding details. For the Lands of Man, on the other hand, I knew the story first, and wanted a setting. I started with the history, from the wars against the dragons to the opening of DRAGON WEATHER, but I didn’t know the geography or magic, or history before the wars, until after I started writing the novel. I never did get the linguistics straight. NIGHTSIDE CITY was inspired by the Los Angeles of Ross Macdonald’s Lew Archer novels — “inspired” not meaning copied, at all. Lew Archer’s L.A. is a city of night, where the real world Los Angeles is a very sunny place, and that got me thinking about a city where it’s always been night, but the sun’s about to come up. (A “Little Nemo in Slumberland” strip where the sun dissolves King Morpheus’ palace may also have figured in.) So I started designing out a world where that would be possible, and even hired a planetologist, Dr. Sheridan Simon, to work out the physics for me. VENTRELLA: Do you prefer writing short stories or novels? WATT-EVANS: I used to find novels easier, though obviously they take longer, but somewhere in the late ’80s I got the hang of writing short stories, and since then I don’t find one more difficult than the other. As for which I prefer, do you prefer steak or chocolate cake? They’re different. Sometimes I want one, sometimes I want the other. VENTRELLA: What do you see as the primary difference between the two? WATT-EVANS: The primary difference is that a short story is about a single change, while a novel is about something developing, step by step. The first time I was asked this question, many years ago, I said that a short story is a kiss, and a novel is a courtship, and I still think that’s a pretty good analogy. 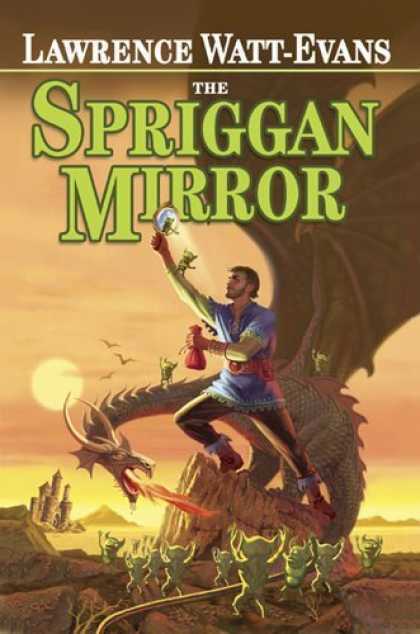 VENTRELLA: Publisher’s Weekly said of your latest (A YOUNG MAN WITHOUT MAGIC) that the characters were “unlikeable” but that the “the tight plotting and absorbing new world make this tale readable.” Do you agree that the characters are “unlikable”? WATT-EVANS: I didn’t think they were unlikable — not all of them, anyway. I like Anrel quite a bit. Several of the others are less than charming, I admit, including Anrel’s best friend, but I thought I’d come up with a protagonist readers would find pleasant company. I suspect the reviewer found him too fatalistic, a trait that fades greatly in the sequel, ABOVE HIS PROPER STATION. VENTRELLA: How do you deal with negative criticism? WATT-EVANS: Mostly, I ignore it. I know I can’t please everybody. In one case, though, a reader’s comment about TOUCHED BY THE GODS me rethink the whole story, which is a part (though only a small one) of why there’s no sequel and will never be one. WATT-EVANS: How broadly are you defining “theme”? A lot of my stories turn out to be about someone finding a place for himself in the world. I also seem to write about a lot of immortal (or at least ancient) characters who have lived in isolation and are reconnecting with the world. And characters who are struggling to control some power that could cause great destruction if unleashed. Come up with central concept, which can vary hugely in complexity — it could be a gadget, a spell, a characteristic of the setting, a plot element, a scene, a character. THE MISENCHANTED SWORD started with the spell on the sword, NIGHTSIDE CITY started with the doomed city, THE CYBORG AND THE SORCERORS started with the scene of Slant talking to the wizards of Teyzha. Sometimes this concept is the result of combining two or more old ideas I had kicking around. Usually, I let this stew for awhile, accreting material. If I didn’t start with a character, figure out who the characters are who would be involved. Work out a background where this could take place — which might be a setting that already exists, or a new one. Write an opening scene, to get the material fixed in my head. Sometimes this comes before the stewing. Figure out how the story ends. Come up with some rough plan for getting from the opening to the ending. Usually, I’ll stop after awhile — usually the first time I hit a plot problem — and write up a working outline, running from three to thirty pages; when I’m satisfied with that, I’ll go on writing the story. The first draft is usually skimpy; the second draft is largely filling in details I skipped over while working through the plot. I generally don’t know the characters all that well when I start, but I get to know them writing the first draft, so the second draft lets me flesh them out. And after that it’s just polishing. However, not every story follows this model. I do whatever works. Sometimes I never do write an outline. Sometimes I write one, but don’t follow it. Whatever works. WATT-EVANS: DRAGON WEATHER. That one came out really good. Some others came close, but I’d rate that one as my best. VENTRELLA: And finally, who do you like to read? 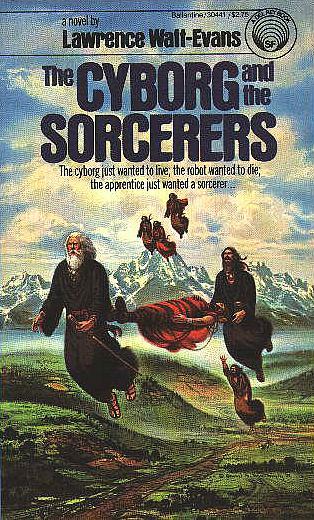 Terry Pratchett, Fritz Leiber Jr. — right now I’m not sure who else, as I seem to be in a transitional period where I’m losing my taste for old favorites (e.g., Robert Heinlein) and haven’t yet settled on new ones. .I bought Dragon Weather & The Dragon Society a few months ago. Brought them home, put them on the bookshelf left them there for a few weeks. 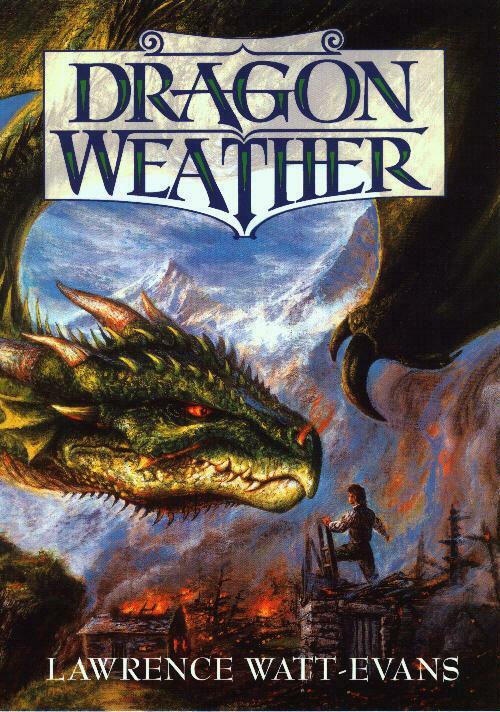 I started reading Dragon Weather and I couldn’t put it down! Then I started reading The Dragon Society. And there again I couldn’t put it down. Matter of fact I have read them 3 times already.T hey are awesome. My youngest son has read them also. He’s 22 yrs old. He said the same thing. Right now Im reading touched by the Gods.I t’s good. All I can say is keep up the good work.